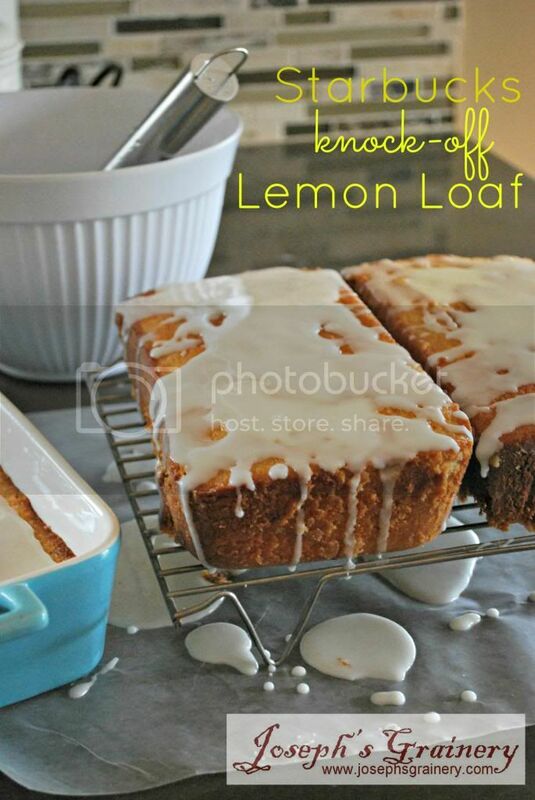 A Lemon Loaf that tastes almost exactly like the coffee house original. One of my Grandma's favorite treats to get at Starbucks is their Lemon Loaf. Knowing how much she loves a slice of their citrusy loaf, MaMa and I decided it was time to try and make our own whole grain version. This isn't the first knock-off we've done just for Grandma, remember when we made her the Cranberry Bliss Bars? Now, you might want to cut this recipe in half. As it is, the recipe will make 2 large loaves or 3 regular sized loaves. If you like lemons, you're going to love a slice of this! 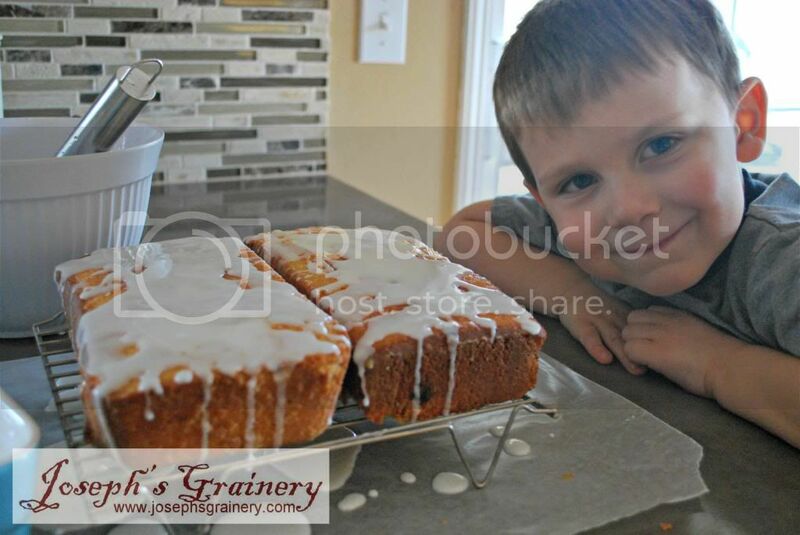 This lemony loaf is almost as good as the real deal! Preheat your oven to 325 degrees. Grease 2-3 loaf pans and dust with flour; tap out any excess. Carefully zest four of the lemons, being careful to avoid the pith. With a very sharp paring knife, cut the tops and bottoms off of each lemon. With one cut side down on the cutting board, trim the pith off the lemon, vertically, going all the way around each lemon, exposing the flesh of the lemon. Over a bowl, cut segments from membranes, letting fruit and juice fall into the bowl, being sure to discard the seeds and the remaining membranes. With a fork, break segments into 1-inch pieces. Beat the butter for 2 minutes at medium speed in the electric mixer. Add half the sugar and mix for 2 more minutes, then add the rest of the sugar and mix again for 4 minutes. Add the eggs, one at a time, beating just until combined after each addition (about 30 seconds). On the lowest setting, mix in the dry ingredients, then the sour cream. Lastly, gently fold in the lemon juice and segments. Transfer batter to prepared pans. Bake loaves until tester inserted near center comes out clean, about an hour. Let the loaves cool in the pan on a rack for 15 minutes. Cut around the loaf in the pan, turn out the loaf. Carefully turn loaf right side up on rack. While the loaves are cooling, juice the remaining 2 lemons. In a small bowl, slowly add the powdered sugar to the and stir until smooth. About a half hour before you’re ready to serve, pour the remaining glaze over the cake. I think Grandma will approve, as I couldn't keep my hands off...you'll notice some of the corners are missing. Yep, that was my fault, but it sure tasted good.